Success! Masudi from Tanzania raised $890 to fund clubfoot correction. Masudi's treatment was fully funded on October 20, 2018. Masudi is doing well and is already on a casting and manipulation program that is going to help straighten his left foot. This treatment will able him to walk normally and wear shoes. Masudi is a baby from Tanzania. He is the youngest in a family of five children. Masudi has clubfoot of his right foot. Clubfoot is a condition in which the foot is twisted out of shape. This causes difficulty walking and even wearing shoes. Fortunately, Masudi traveled to visit our medical partner’s care center, AIC Cure International Hospital. There, surgeons will perform clubfoot repair surgery on September 10. Our medical partner, African Mission Healthcare Foundation, is requesting $890 to fund Masudi’s clubfoot repair. After treatment, he will be able to walk easily and without pain..
Masudi's case was submitted by Joan Kadagaya at African Mission Healthcare Foundation in Tanzania. Masudi was submitted by Joan Kadagaya, Curative Medical Support Program-Partner Representative at African Mission Healthcare Foundation, our medical partner in Tanzania. Masudi's profile was published to start raising funds. 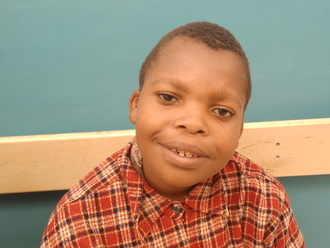 Masudi received treatment at Arusha Lutheran Medical Centre (ALMC). Medical partners often provide care to patients accepted by Watsi before those patients are fully funded, operating under the guarantee that the cost of care will be paid for by donors. Masudi's treatment was successful. Read the update. Masudi's treatment was fully funded. Stephen is a young boy from Kenya. He was diagnosed with cryptorchidism, a condition in which one or both of the testicles remains undescended. If left untreated, Stephen has an increased risk of developing hernias, testicular cancer, and fertility problems in the future. Stephen will be receiving assistance from our medical partner, African Mission Healthcare Foundation (AMHF). Fortunately, he is scheduled to undergo corrective surgery on April 15. AMHF is requesting $542 to cover the total cost of his procedure and care. “Please help me because no matter what I do, it would take my husband and I years to raise the needed funds,” says Stephen’s mother. Broony is a baby from Kenya. He is the youngest of five children. Broony has been diagnosed with hydrocephalus, a condition in which excess cerebrospinal fluid accumulates in the brain and increases intracranial pressure. As a result of his condition, Broony has been experiencing an increasing head circumference. Without treatment, Broony will experience severe physical and developmental delays. 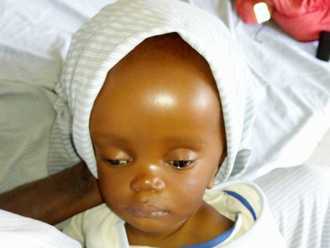 Our medical partner, African Mission Healthcare Foundation, is requesting $685 to cover the cost of surgery for Broony that will treat his hydrocephalus. The procedure is scheduled to take place on April 3 and will drain the excess fluid from Broony's brain. This will reduce intracranial pressure and greatly improve his quality of life. With proper treatment, Broony will hopefully develop into a strong, healthy young boy. “I thank God for BethanyKids, I hope we can get help,” says Broony’s mother.